The demand for certified forest products has grown dramatically in recent years, more and more buyers have been urging their suppliers to demonstrate chain of custody by inclusion of the FSC logo. The logo on goods identifies the board and paper used in the products comes from certificated, sustainably managed forests at any point in the supply chain from forest to the consumer. The CoC certification process requires companies to keep detailed records of their purchases and sales in order that the certified goods can be traced back to source. By granting of this FSC certification, TOPTEAM has been implemented and trained its all staff to be equipped with the knowledge and skills necessary to enable them to perform their role effectively and deliver a high standard of service to the business. 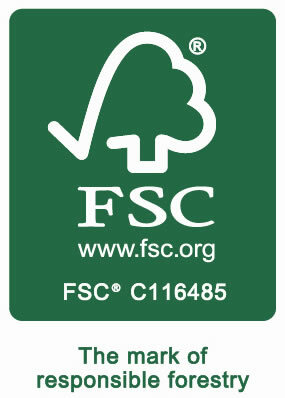 FSC (Forest Stewardship Council) is a non-governmental, non-profit and independent organization. Established in 1993, following the Earth Summit in Rio in 1992 that defined what “sustainable forest management” is, the FSC certification involves 117 million hectares of forest around the world (82 countries), meaning 5% of the logged forests. These are also 15,000 companies that are certified. FSC is supported by several other ONG, like WWF and Greenpeace.